Cardiff Black took the top spot at the Excalibur, followed closely by Plymouth Red and Newcastle Blue, over the weekend of 9 – 10 March. 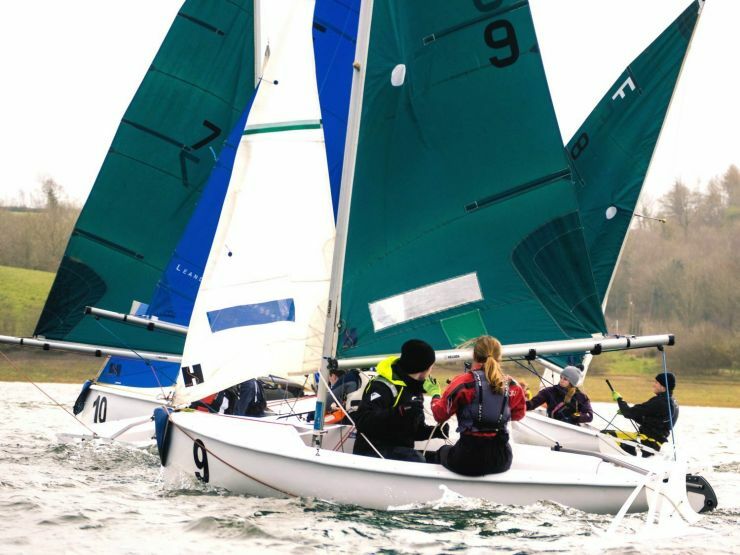 The event saw 20 teams descend to Exeter, battling it out, despite the difficult wind conditions, with a total of 82 races sailed. 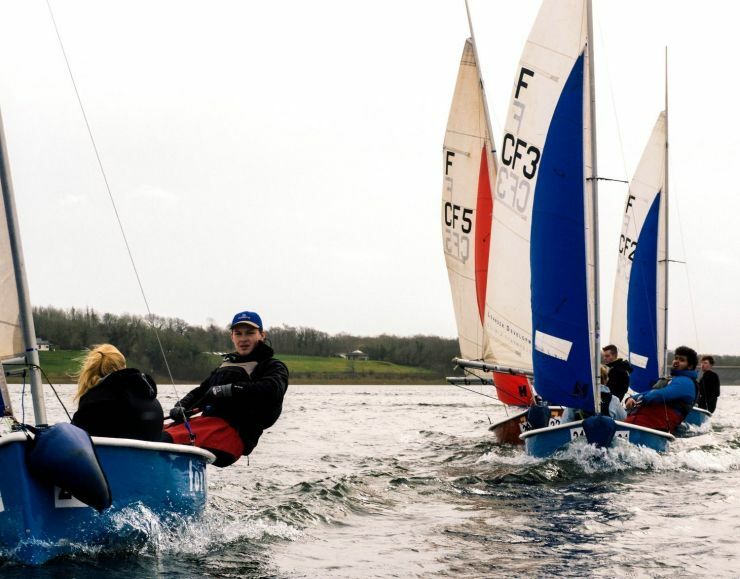 An early start was required on Saturday for all the teams to reach the venue of Roadford Lake for the days racing. However, it was not plain sailing to start the day. 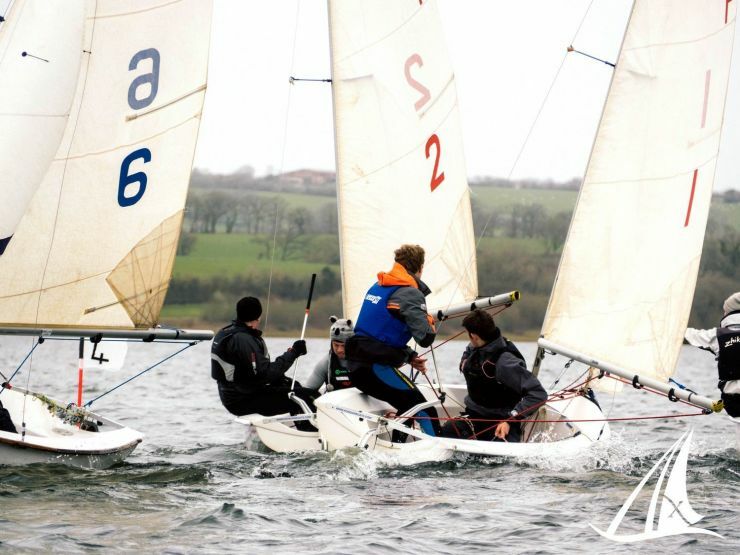 There was a massive squall, causing chaos with the boat breakages and multiple capsizes. This led to the racing having to be postponed for an hour. 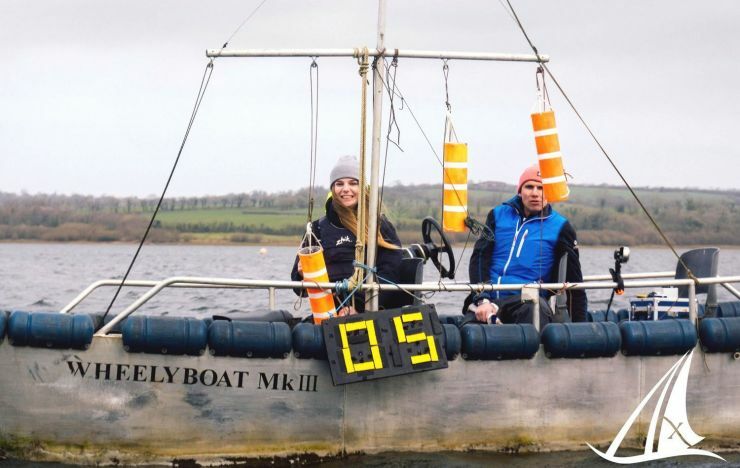 Due the exceptional organisation and persistence of the teams braving the conditions, all competitors got on the water once the wind had subsided and managed to race all 82 races before 5pm. 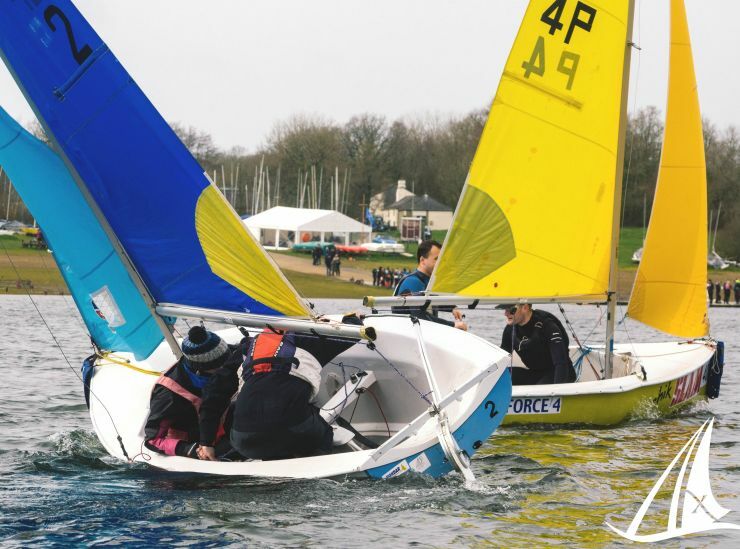 Unfortunately, all racing on Sunday had to be called off due to very strong wind conditions. 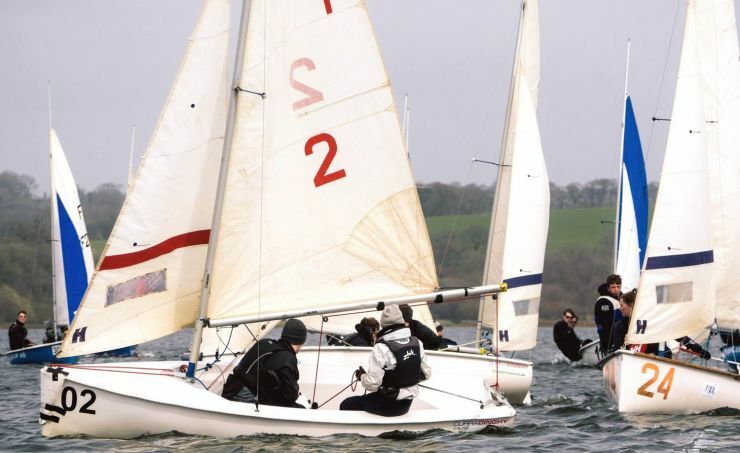 This meant the final results were based solely on Saturday’s racing, with Cardiff Black taking first position. When they weren’t sailing, Excalibur competitors were getting a taste of the local nightlife. Saturday’s social had an “icons of the Era” theme, with costumes ranging from David Bowie, to Florence Nightingale. It took place at one of Devon’s many watering holes, Hole in the Wall. Teams enjoyed Pizza before heading into Time Piece for a boogie. Huge congratulations must go to Emma McKnight and Commodore Jack Hanslope for organising and running the event. Exeter University express their gratitude to all the Umpires and racing officer, Martin, who helped the event run smoothly in spite of the difficult conditions. 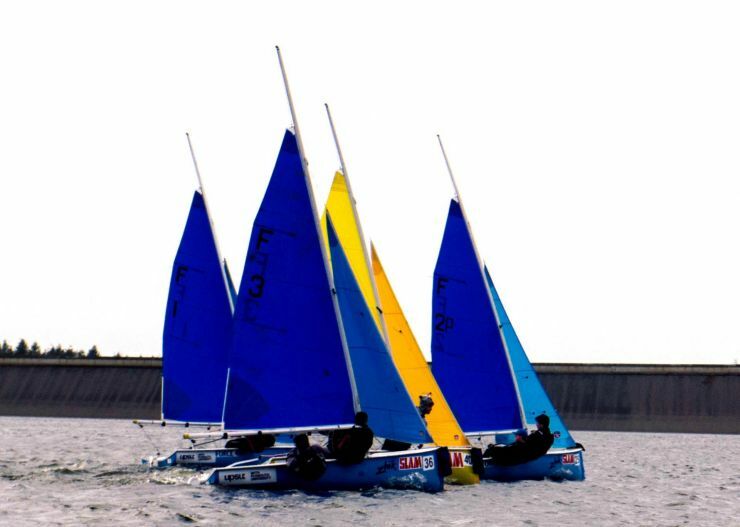 Thanks must also go to sponsors Exe sails, who provide the club with funding to run such events, and Ksail for providing the results. Finally, to all the EUSC volunteers and helpers who made the weekend possible. Thank you to all the teams that came down, we look forward to seeing you next year! Final results may be found on Ksail. See a pdf copy of the Report. More of Tim Martin’s great photos can be found in his gallery.